​Best restaurants, best site views, monuments, better nightlife, best beach, secret spots, all you ever wanted to see and enjoy! I have lived in Portugal 33 years, where I worked in Hospitality. In this period I stablished several contacts in this area and also in different areas: restaurants, transports, spas, shopping, "nightlife". ​Lisboa, Cascais, Sintra, Porto, Fátima, Coimbra, Aveiro, Algarve... I take you everywhere with a local touch! In the sequence of countless requests of accommodation, restaurants, reservations and suggestions of programs and even travel organization for vacations in Lisbon and New York, I decided to start my own project of Personal Concierge. I am very passionate about my place of bith, the most trendy city in the world right now. 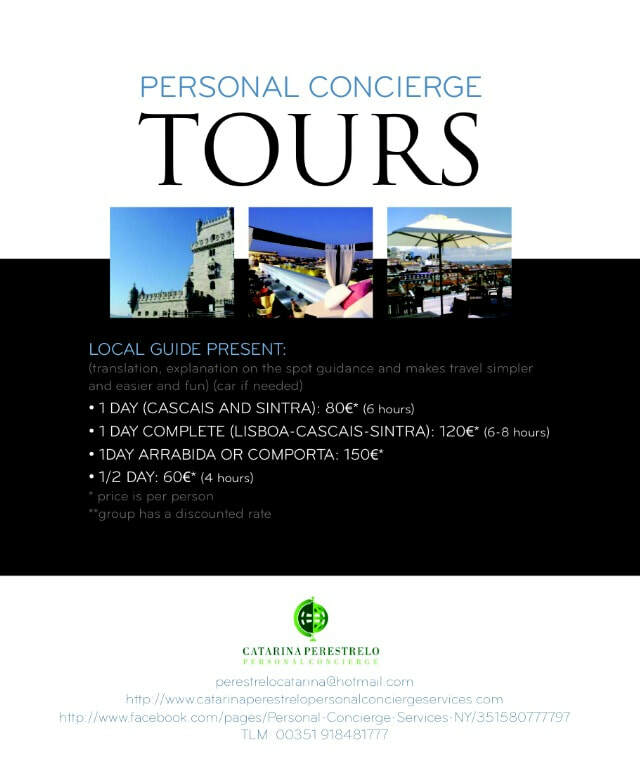 I know the very best in it, therefore, I can advise and provide a full knowledge of what Lisbon has best to offer. This is a great and exciting city, where history and future meet. Therefore, I intend to suggest and show what is essential and what is best, in the perspective of a “local”. Very competitive prices in different hotels and possible upgrades, discounts in Luxury Hotels in centre of the city, villas near the beach or resorts. Avoid the worry of searching for unknown services (hotels, transport ...) and enjoy what really interests at our "Garden by the ocean"! Relax I‘ll take care of your lovely trip!